So that’s how she does interior design so well. It’s clear though that she has a great eye for what works and what doesn’t. All the furniture and fittings each have their own intriguing story and the brightly coloured walls, exotic plants, and tropical-inspired paintings bring the vibrancy of Rio to the inside. Casa Bromelia is an exclusive boutique with three unique bedrooms in addition to offering a travel concierge service and a jaw-dropping swimwear range. Seeing the swimwear made me want to play dress-up for the rest of the afternoon but we were on a special purpose. We had come to check out one of Lauren’s local-inspired tours. As part of the concierge service, Lauren offers tailor-made tours for individuals or groups of people that want to experience Rio as a local with someone that knows the city like the back of their hand, speaks English, Portuguese, Spanish and French, and has that remarkable ability to connect with locals, expats and travellers in a way that instantly makes anyone feel comfortable and at home. We decided we want to check out the ‘A Day as a Local’ tour and get a feel for what it’s like to be Brazilian in Rio as well as check out some pretty off-the-beaten-track spots in the city. Our first port of call was the local padaria (Brazilian bakery), which was an excellent beginning as I was famished. After explaining the different foods on display in the wide, glass-walled counters, we ordered whatever tickled our fancy and sat down for a hearty brunch of coxinhas, acai, freshly squeezed fruit juice, and a large cup of classic Brazilian coffee for me. Lauren kept the whole atmosphere lively and engaging, chatting happily away with us and the amused looking staff (that was our fault. We were excitedly taking millions of photos, filming the food, and creating boomerang images of what, to them, is simply daily snack and breakfast items). After feeling sufficiently full and satisfied, we took the metro, as thousands of Brazilians do every day, to the huge outdoor market, Uruguaiana Market. Now, for those that are new to Rio and don’t speak the local lingo, Uruguaiana Market can be an overwhelming medley of stalls and persistent sellers, all thrown together in a what feels like a warren made by a crazed rabbit. Yet Lauren guided us around, pointing out interesting stalls, wonderful products, engaging with friendly locals, and introducing us to exotic fruits such as the goiaba (see below), which you can actually eat with the skin (I did not know that). I’ve already been to Uruguaiana Market but normally I go, buy whatever it is I need and leave. But with Lauren, I got to experience it at a more leisurely pace which totally changed my perspective of the market. I felt safe, comfortable and was having a great time exploring the products, many of which are unique to Brazil and represent fascinating aspects of local culture. This is goiaba (guava in English). It’s so pretty! I personally love the thick jelly-type paste version – known as goiabada – which is popular in Brazilian and eaten with a mild, white cheese. This combo is known as Romeu e Julieta. I love it in its purest form as a slab of white cheese with a layer of guava jelly on top (I am so hungry now just thinking about this!) but Brazilians are really creative with this combination and you can find it in cheesecakes, truffles, pies, mousses, as a filling in tapioca, and even mixed with pao de queijo! If you’re wondering how to prepare for the trip to Uruguaiana market, then Lauren has all your answers. In the video below, she gives a run down of some top tips on what to wear to Uruguaiana market, what to bring, and gives a little more insight into how long her tours last for. Lauren expertly guided us down hidden paths and winding corridors in Uruguaiana until we stepped out into a quieter street in the city centre, the exciting hustle and bustle of the market behind us. This time we went to the Royal Portuguese Reading Room, one of the most beautiful libraries I had ever seen with breathtaking ornate decor that forcefully commands a hushed silence as you step in. The building dates back to the end of the 19th century and contains the largest and most valuable collection of Portuguese literature outside of Portugal. Despite not being allowed to touch most of the books – some date back to the 14th century and efforts to preserve them would be majorly hindered from public manhandling – I could have spent a pleasant afternoon there simply taking in the incredible surroundings. The samba tour is one of Lauren’s most popular experiences. 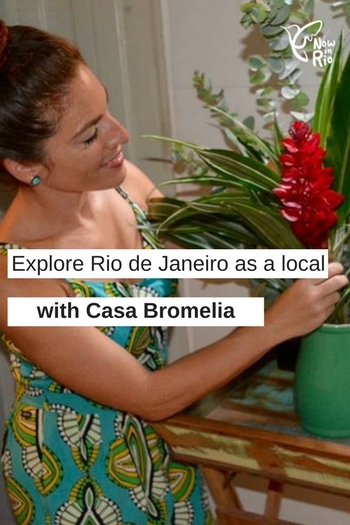 Guests start at the wonderful Casa Bromelia for homemade caipirinhas and to test out a few samba moves within the cozy, private comfort of the home. Later in the night, the tour moves to an underground samba place where guests can have a truly Brazilian experience by taking part in a street party where usually only Brazilians go to enjoy local music in the balmy evenings of Rio’s outdoors. Back to our tour, after a stroll around the city centre we end up at Casa Cave to finish the tour with a chat and cake, a perfect way to wrap up what had been a wonderfully enlightening and fun excursion. Having lived in Rio for about four years, I felt pretty clued up on what to do and what to see in Rio. Yet Lauren surprised me by revealing paths in Rio that I hadn’t yet trodden down and I left the tour with a new appreciation for the city. Lauren’s passion for Rio shone and sucked me in, reminding me why I moved here in the first place. The tour didn’t feel at all touristy and didn’t just scratch the surface of Rio – it dove straight into its heart and revealed the culture here that I simply love. Lauren is the owner of Casa Bromelia. 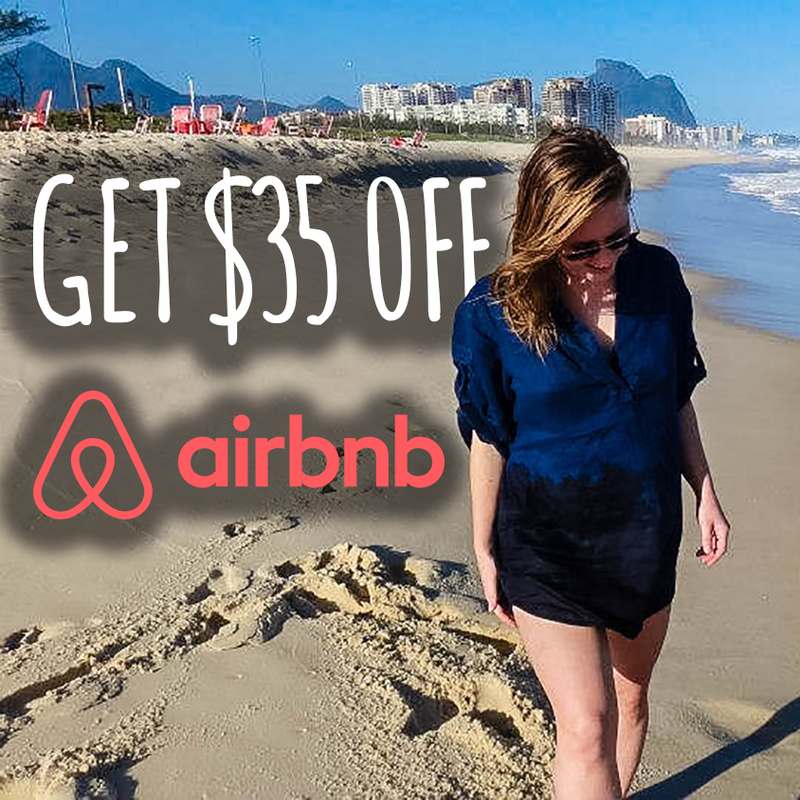 She offers boutique accommodation in the heart of Ipanema, Rio’s trendiest neighbourhood, which is just one block away from one of the world’s most iconic and beautiful beaches. She is also behind the travel concierge service, a total guide and assistance to anyone visiting Rio de Janeiro that caters for all whims, desires, and needs. Lauren also has a fabulous swimwear range whose prints and patterns scream Rio de Janeiro and the quality will make you feel on top of the world. Finally, Lauren is the host of a range of incredible city tours. So how do you get in touch with the lovely Lauren? Send her a message through her website or Facebook page. Alternatively, you can contact us and we will pass on the message for you. 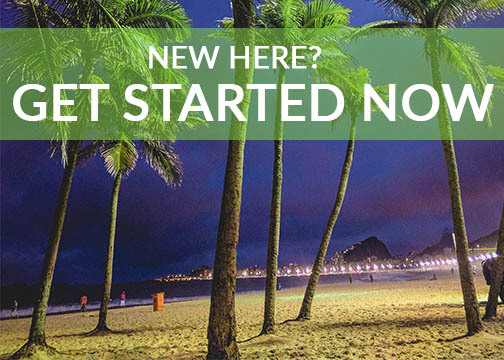 If you contact Lauren or book any of her services, make sure you quote ‘Now in Rio’. Then let us know and we will send you some exclusive information about Rio de Janeiro. It is such a privilege to be welcomed in the Now in Rio family. I love combing through your site and articles about Rio de Janeiro. It gives me amazing information to share with my guests! Hi, Simone! I passed on your information to Lauren personally and she should be in touch with the email that you provided when making this comment.